You Got Served: What to Do If You Get Served with a Subpoena - Perry Law, P.C. Being served with a subpoena can be a nerve-wracking experience, especially if it has never happened to you. The first thing to remember is not to panic. 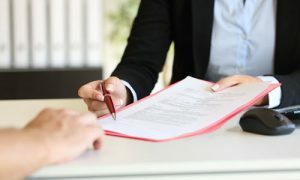 Although both are possibilities, being served with a subpoena does not mean you are being sued, or even that you are party to a dispute. What the requesting party wants is information, and a subpoena is their way of asking for it. But just because you are not being sued does not mean you should not take these situations seriously. Lawsuits can easily be amended, and your name added to the list of defendants. Our goal, obviously, is to make sure that does not happen. In pursuit of that goal, we have put together this list of things to think about, should you ever find yourself in this situation. Over the past several years, we have seen more and more attorneys serve subpoenas on insurance carriers in order to obtain information. When this happens, the first question you need to ask is, who does the requesting party want to hear from, you or your employer? In many cases, the requesting party is not interested in you, per se, but the company you work for or at least information it has. These subpoenas will typically ask only that certain documents be produced. Who or what the requesting party is requesting may dictate the proper response. 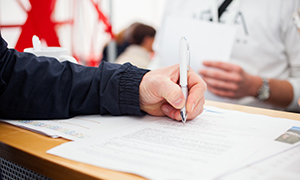 When the requesting party wants to hear from a specific adjuster, that adjuster may be requested to appear. 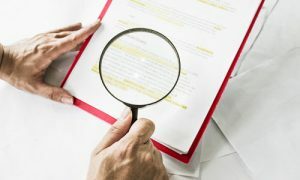 When the requesting party wants to hear from the company, the company will likely need to choose someone to appear based on what the subpoena is requesting. It is important to remember that subpoenas are a normal part of our judicial system, and not necessarily a nefarious plot to destroy you or your company. If the information being requested is not sensitive and complying is going to be a relatively easy process, it may be in your best interest to provide the requested information and move on with your life. However, it is also possible that complying would disrupt your regular course of business and/or expose sensitive information to those who are not authorized to see it. is beyond the scope of what you can be asked for or should be providing. This can create additional problems down the road by opening you up to liability to your own policy holders, should any protected information be given out. Once you have figured out what the subpoena is looking for and from whom, there are several options available to you. Confirm: Confirm if it is a valid subpoena. While typically a fax or email is not sufficient to serve a subpoena, criminal subpoenas can be different. When a criminal subpoena is emailed, and you email back, it can be considered acceptance in some instances. Moreover, some counties have local rules governing service of subpoenas you may need to familiarize yourself with. Compile: As we said, being served with a subpoena requires a response. Regardless of whether you intend to comply or challenge it, assume that you will have to provide all the information being requested. Identify, collect, and preserve all the relevant documents. It is possible you may not need to hand them over, but if you do, you will have them on hand. Contact: Where written records are requested, putting in a call to the party that issued the subpoena can accomplish several things. It may give you more time to comply with what is being asked of you, and it may help to clarify exactly what the other side is looking for. In lieu of a call, a written letter can also be sent. However, keep in mind there are certain legal requirements regarding what the letter should contain and how it is sent. Quash: If you believe that complying with a subpoena is not in your or your company’s best interest, you (through your attorney) can file a motion to quash. This tactic is often deployed when a specific insurance adjuster is asked to appear. A motion to quash asks the court to stay the subpoena process until the court can rule on the issue. However, filing the motion only gets you halfway home. Motions can be either granted or denied. A hearing will be held before that decision is made, in order to ascertain whether the subpoena is reasonable and served correctly. Sometimes the requesting party backs down before the hearing is held. Protective Order: Short of quashing the subpoena altogether, a motion for a protective order can be filed instead. This seeks to impose limits or restrictions on how the subpoena is enforced. When will you have to appear? What questions can be asked of you? Who will be allowed to review the information you are turning over? It is possible that you will never find yourself in this situation, but if you do, it is best to have a plan in place for how you are going to deal with it. As previously said, complying with a subpoena may be a relatively easy process. However, if it is going to be disruptive to your business and risk exposing sensitive information, there are options available to you. In each of the options outlined above, there are legal pitfalls that can seriously hurt businesses that are not familiar with them. Consider hiring outside counsel to help in responding to the subpoena, someone who will not be in the position of defending both an insurance carrier and its insureds. This is an issue our clients face time and time again, and we are very experienced in guiding them through the response process in a way that protects them and their clients. Regardless of what you ultimately decide to do, you must do something. A subpoena requires a response, even if it was served incorrectly or the information it is requesting is unreasonable. Ignoring a subpoena puts you at risk of being held in contempt of court.